Happy New Year! Or, Subho Noboborsho! as they say in Kolkata. Although Western New Years and the Chinese New Years are celebrated with perhaps more enthusiasm in Kolkata these days, Pohela Boishakh (the first day of the month of Boishakh) is a day for celebrating Bengali heritage. In the morning people go out to greet the first sunrise of the New Year over the Ganges. Traditionally women, as they do for all major holidays, dress in white saris with a red border. 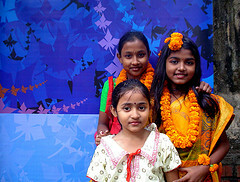 If you were in Kolkata today, you would meet and greet your neighbors, attend festivals of arts and crafts, and visit friends and relatives. Or they just stay home and enjoy a free day from work. 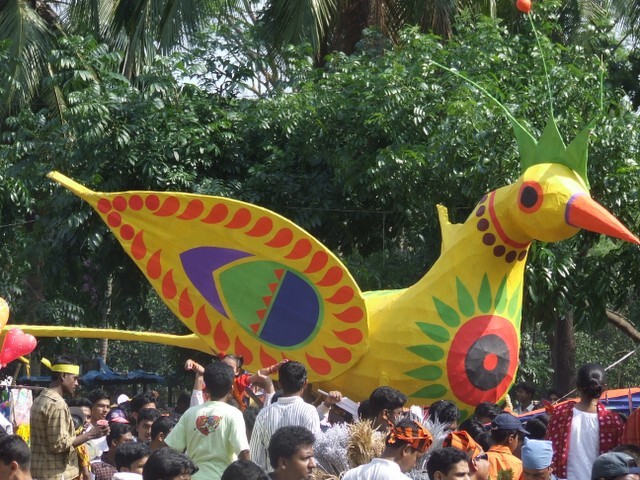 There are plenty of celebrations of Pohela Boishakh around the world, from concerts of classical Bengali music to festivals of Bengali dance. 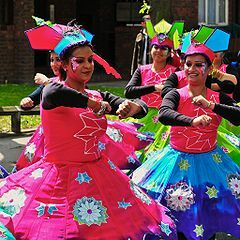 Sydney and London have the two largest festivals outside India and Bangladesh. If you are there, check them out!